The International Atomic Energy Agency (IAEA) has confirmed Iran’s compliance with its commitments under the 2015 nuclear deal, but has called on the country to go beyond its obligations. According to an IAEA report shown to the media on Thursday, Iran is observing the key restrictions under the nuclear agreement, known as the Joint Comprehensive Plan of Action (JCPOA), Press TV reported. The IAEA called on Iran to remain compliant with the JCPOA and even go beyond its legal obligations in order to boost international confidence in Tehran’s commitments. 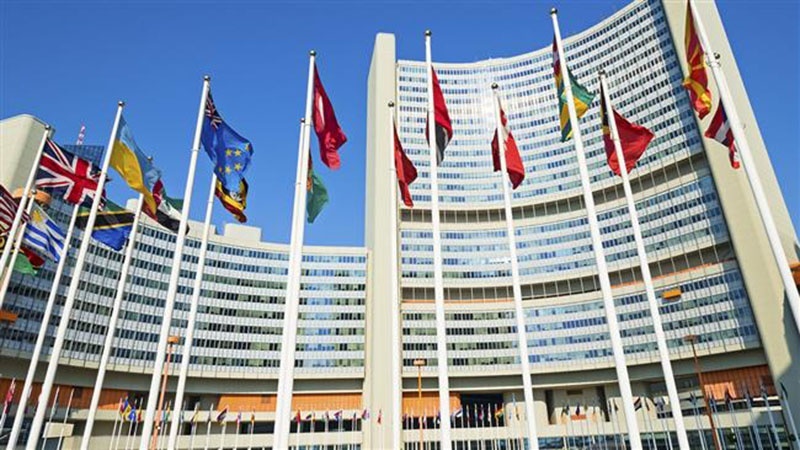 A senior diplomat at the IAEA headquarters in Vienna said there has been no lack of cooperation or change of behavior on Iran’s part. However, the diplomat said, Iran can go beyond its legal obligations by adopting certain measures such as inviting inspectors to the nuclear sites which they had not even demanded access to. The JCPOA, agreed between Iran and the US, Russia, China, Germany, France and Britain in July 2015, went into effect in January 2016. Since then, the IAEA has repeatedly confirmed Iran’s full compliance with the deal in its numerous quarterly reports. On May 9, the IAEA once again confirmed Iran’s commitment to its obligation hours after US President Donald Trump officially declared that his country was pulling out of the JCPOA. Unable to cite any act by Iran that could be interpreted as a violation of the JCPOA’s terms, Trump only lashed out at the deal, saying it was “weak” in limiting Tehran’s nuclear program. Trump’s controversial announcement came despite recurrent calls by other parties to the JCPOA as well as the entire international community on the US to keep its side of the bargain. Germany, Britain and France as well as the European Union have announced that they would remain in the agreement, insisting that the JCPOA is functioning properly. Iran has said it would remain in the nuclear deal for now, pending negotiations with the other signatories in the coming weeks before making a final decision on its future role in the agreement. Following Trump’s decision, Iranian lawmakers introduced a motion that calls on the government to take “proportional and reciprocal” action and secure “necessary guarantees” from the remaining signatories. Iranian lawmakers say if the guarantees by Germany, France, Britain, Russia and China are not provided, the country should resume high-level uranium enrichment.